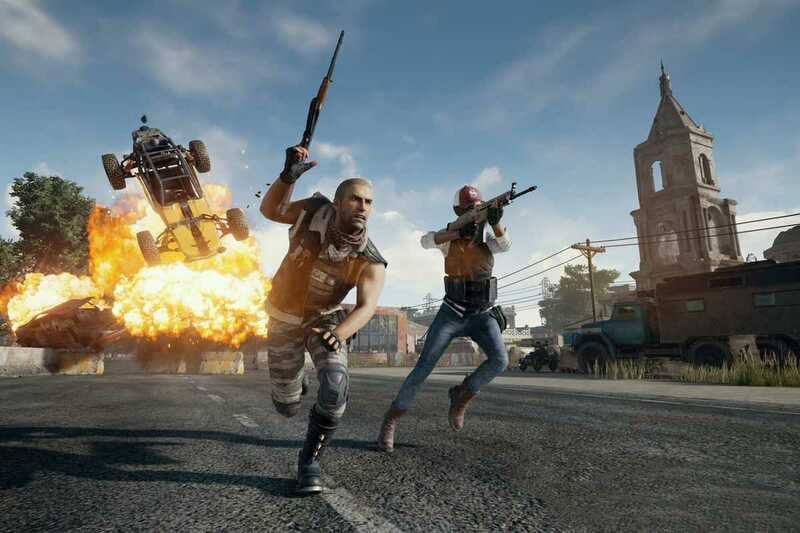 PUBG has already managed to break some of the biggest records held by games like Counter Strike Global Offensive and continues to grow smashing more records on the way. The PC only shooter has also found its way to the Xbox One console recently. Even though, it has lots of performance issues at the moment, the developers are expected to fix things and further grow the community leading to improved stats. A recent update confirmed that PUBG has crossed 3 million concurrent users based on statistics gathered on December 30th. It was just 1 million users in the month of September which became 2 million in the month of October. In the last two months, the numbers have significantly jumped leading to 3M which is definitely a record that other games have to fight hard to beat. The developer of the game, Brendan Greene is quite confident that it could eventually reach 100 million users at the same time. Most titles on Steam that are around for many years now are yet to touch the coveted one million mark. Dota 2 is the most popular of them all and has a very solid player base. However, the game just touched 705,000 concurrent users towards the end of December. 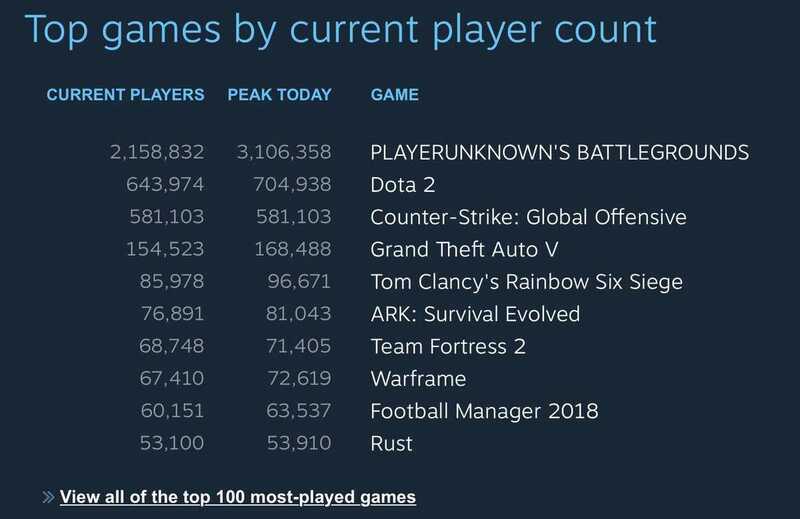 Surprisingly, the player base after New Year instantly jumped but is nowhere close to PUBG as confirmed by Steam’s own statistics report. PlayerUnknown’s Battlegrounds has reached 1.0 and is finally out of Early Access which is one more reason for most players to make the purchase. PC gamers follow a strong habit of buying games even when they are under development and are usually ready to face the loads of bugs, issues that they might face while trying to enjoy its multiplayer aspect. Some still prefer a complete game and PUBG is now officially available for them all. The game was also on sale during Steam’s Winter Sale for a discounted price. The game is one of the most popular choices on Xbox One console as well because unlike many AAA titles, it costs just $30 and has already sold more than 1 million copies on the platform. The game generated $900 million in revenue so far and developers are working round the clock to make it work best on the console. It is exclusive to Microsoft and is not coming to Playstation 4 consoles any time soon even though the developers interested in porting it if Sony would allow them.